(2) enhance their skills in intercultural communication, relationship building, and team development. The American workforce is rapidly becoming more culturally diverse, which presents managers with one of their biggest challenges. Left unattended, the increasing cultural diversity in the workforce can result in conflict, tension, and low productivity. If effectively managed, cultural diversity can provide the human resources for a creative and productive work environment. The challenge for managers is to maximize the advantages and minimize the potential problems associated with cultural diversity. 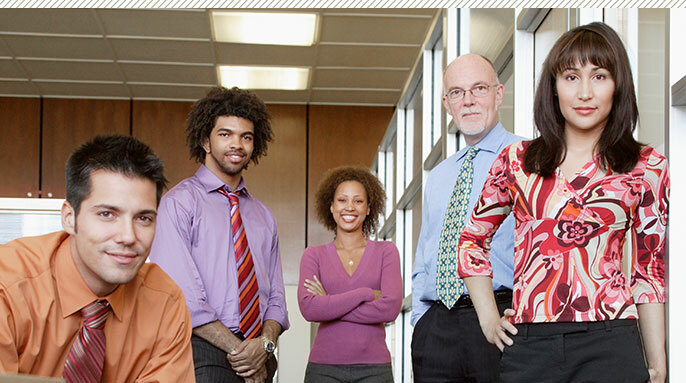 To benefit from diversity as an important organizational resource, mangers must (1) view the management of diversity as an important business issue, (2) understand the key issues in the multicultural workforce, and (3) develop the competencies required to manage individuals from different racial and cultural backgrounds. The growing number of Asian-, African-, and Hispanic-American workers has a profound impact on the composition of the workforce. Managers and supervisors will be called upon to help their companies remain competitive by building a cohesive and productive workforce from this increasingly diverse population. Over the next 20 years, people of color — Asian Americans, African Americans, and Latinos — will constitute 85 percent of the US population growth. By the end of the 1990’s Asian Americans, African Americans, and Latinos will constitute almost 30 percent of the workforce. Immigrants, mostly from Asia and Latin America, will represent an increasing proportion of the labor force. The workforce will grow at the slowest rate since the 1930s, creating a potential labor shortage. The ability to manage a culturally diverse workforce is an increasingly significant factor in a company’s competitive position. A diverse workforce can provide a company with greater knowledge of preferences and consumer habits within the domestic market, which is also becoming increasingly diverse. Diversity can also help the global marketplace. Skilled employees who speak the languages and understand the cultures of their international trading partners provide their companies with a competitive edge. The most competitive companies will be those that can recruit, hire, and manage a diverse workforce. These companies will be able to take advantage of cultural diversity and develop an exciting, flexible and creative corporate environment through the synergistic blending of individuals with different backgrounds and perspectives. Companies that fail to develop competence in managing diversity will find their competitive position impaired. As the labor pool contracts, they will find it hard to compete with other companies in recruiting and hiring new, younger workers with the needed skills. In addition, productivity may decline because of costly miscommunications, ethic conflicts, low morale, and stress. These companies may also suffer in the increasingly diverse marketplace, where a multicultural perspective would help them understand and respond effectively to culturally diverse consumers. To effectively manage a multicultural workforce, managers need to develop an understanding of the key issues inherent in culturally diverse organizations. These issues include a lack of upward mobility for people of color and cultural differences that may lead to miscommunications, misinterpretations, and misevaluations. Perhaps the most salient and potentially explosive issues in culturally diverse organizations is the barriers that people of color face when they attempt to move up the corporate hierarchy into high-status, high-skill management and executive positions. These barriers result from (1) individual discrimination and bias on the part of the dominant Euro-American group, or (2) systemic barriers in the form of the practices and polices of the organization itself. Whatever the cause, the result is that the organization may lose the advantages of increased creativity, productivity, and innovation, while suffering such negative consequences as conflicts, low morale, high turnover, and reduced productivity. Discrimination and bias that limit progress may take the form of negative stereotypes and assumptions about people of color or, more subtly, selection and hiring processes based on undefined concepts such as “fit” and “chemistry.” Ethnic stereotypes are generalizations that one applies to all members of a particular ethnic or cultural group and that guide one’s behavior toward that group. They may be harmful or helpful, depending on how they are used. They are particularly harmful when they are negative, inaccurate, unconscious, rigid and impervious to contradictory evidence. In culturally diverse organizations, stereotypes limit the career progress of people of color when they influence judgments that lead to differential treatment. These stereotypes usually focus on presumed deficiencies in people of color that make them less suitable for management roles. For example, Asian Americans are often victims of stereotypes depicting them as passive, reserved, cliquish, highly technical individuals who lack the “people skills” necessary for managerial success. African Americans may suffer from stereotypes and beliefs that they are hired and promoted solely to fill a quota, that they lower standards, and are otherwise unsuitable for management. These generalizations are rarely true! (See Toy-Ping Taira, “Sensitizing Managers to Asian-American Diversity issues”; Lee Butler, “African-American Women and Men in the Workplace: Dismantling the Glass Ceiling”; and Cresencio Torres, “Hispanics in the Workplace,” in this volume). In addition to individual bias and discrimination on the part of the dominant group, people of color may also face systemic barriers to upward mobility in the multicultural organization itself. These include widespread policies, practices, and structures that perpetuate discriminatory treatment of people of color, such as (1) problems with mentors and sponsors, (2) exclusion from informal groups, and (3) the pressures of being a “token” in managerial ranks. Mentors and sponsors. There is a general consensus that having a mentor or sponsor is a key to career success. People of color, however, may experience problems with mentors in a number of areas. First, they may find that it takes a long time to initiate a relationship with a mentor who is from a different race or culture. They may then find it problematic to manage such a relationship and to derive the expected benefits from it. Indeed, there is more likelihood that these cross-racial relationships will end in a less-than-friendly way and provide less support that same-race relationships do. In addition, to be effective in the organization, people of color may need a different pattern of mentoring than do their Euro-American counterparts. They may need Euro-American male mentors for advice in their own functional area but same-race/culture mentors in other areas for social and psychological support. Informal groups. Another systemic barrier to the career advancement of people of color is their exclusion from informal groups and networks in the organization. Because of perceived similarities and discomfort with those who are different, both people of color and Europeon Americans may tend to socialize and cluster more often with their own groups than with other groups. Consequently, people of color may be excluded from important power relationships and information networks. As a result, they may be unable to marshal support for their initiatives or to promote themselves effectively. And by not participating in the informal channels of the organization, people of color may not be able to learn about the corporate culture or its norms, values, beliefs, and accepted ways of getting things done. As a result, they are often isolated from essential communication channels. Tokens. Still another barrier is the unwanted pressure and burden that comes from being considered a token representing a specific racial or cultural group. When people of color are few in number, and thus highly visible, they may become overloaded because of the expectations they face that their Euro-American counterparts do not face. For example, tokens may be expected to mentor other people of color in the organization. They may be expected to represent their groups in numerous meetings, committees, and task forces. They may be asked to attend events at which management wants to show that the workforce is diverse. An additional burden comes from the perception that their individual success or failure symbolically represents the success or failure of their entire group. For example, if an African American fails at a particular task or job, all African Americans may suffer in the eyes of management. But if a Euro-American fails, it is seen as an individual matter. As a result of these pressures, people of color may become so overloaded that they are not able to perform their regular tasks well and could be seen by management as being unproductive. The situation is made worse when management is not aware that the token has become overloaded and does not consider the additional burdens and expectations when evaluating the performance of the individual. Managers will be challenged to recognize these vast cultural differences in their organizations and to manage these differences rather than ignore them or allow problems to fester. People from different cultures vary in terms of their values, attitudes, and beliefs. In the culturally diverse workplace, these differences affect work behavior in a variety of ways. Employees may differ in their attitudes toward authority, preferred communication patterns, ways of dealing with conflict, sources of motivation, and emphasis on individual competition versus group cooperation. Of particular interest to managers are cultural differences that affect communication, team building, and interpersonal relationships. Communication. Achieving effective communication is a challenge even when the workforce is culturally homogeneous. But when the workforce is diverse, with a variety of cultural and linguistic differences, effective two-way communication becomes even more problematic. For example, supervisors and managers may encounter difficulties in giving instructions that foreign-born employees can understand and in feeling confident that the instructions are in fact being followed. They may also experience difficulties in knowing how to give negative feedback and criticism to employees from different cultural groups and in eliciting opinions and feedback from them. Team building. Building a cooperative, culturally diverse team is another area that presents challenges for managers and supervisors. Several factors may hinder managers and supervisors from building effective multicultural teams. First, team members may fail to show respect for each other, may lack adequate information about each other’s backgrounds, may lack common areas of interest, may have poor cross-cultural communication skills, and may hold negative attitudes and assumptions about each other. In addition, teamwork may be hindered by the self-grouping of individuals from the same culture during work breaks, at lunch, or at social events sponsored by the company. This self-grouping may lead to mutual isolation, suspicion, resentment, and a lack of cooperation among the cultural groups in the workplace because they do not have informal opportunities to build relationships, which are essential for effective teamwork, collaboration, and problem solving. Interpersonal relationships. Managers and supervisors also experience difficulty in building and maintaining effective relationships with culturally diverse employees. Managers may lack knowledge of the employees’ backgrounds and therefore are unable to identify areas of common interest. As mentioned previously, they may be unable to communicate effectively and may be unwilling or unable to show appropriate respect. As a result, managers and supervisors could find it difficult to motivate their employees, assign tasks, provide corrective feedback, and administer effective discipline. The first step in developing competencies required for multicultural management is for managers to increase their own cultural self-awareness. This involves developing an understanding of one’s own cultural conditioning and how this conditioning influences one’s opinions, attitudes, values, behavior and management style. Many Euro-American male managers may learn, for example, that they are seen by others as aggressive, competitive, task-oriented, and unwilling to show their feelings when disappointed. Such an understanding allows managers to be more effective in multicultural situations because it helps them understand (1) how cultural factors influence their interpretation and evaluation of events, (2) how they project their own cultural values on others, and (3) other forms of cultural behavior from a nonjudgmental and nonethnocentric point of view. Managers also need to develop an understanding of how cultural differences and similarities affect relationships in the workplace. It is necessary as well for managers to understand the dynamics that occur when culturally different individuals interact, communicate, establish relationships, and work together as members of a team. And it is useful to understand how these differences in communication styles may often lead to misunderstandings caused by misperceptions, misinterpretations, and misevaluations. These understandings need to be translated into the ability to change or more effectively manage one’s behavior in a multicultural encounter. The effective multicultural manager (1) has overcome the tendency to assume that everyone is the same, and (2) is able to recognize and describe cultural differences before interpreting and evaluating them. The effective manager is also able to show respect for others and their cultures, to be nonjudgmental when faced with cultural differences, to be flexible, and to tolerate ambiguity. Developing specific skills for intercultural communcation, for building cooperative and collaborative relationships, and for developing effective multicultural teams. Most intercultural training for managers and supervisors uses the experiential approach, focusing on a combination of knowledge, attitudes, and skills. Trainees usually participate in role playing, small-group exercises, and the analysis of critical incidents and case studies. An organizational culture that recognizes the contributions of diverse groups in the organization and that shares power and influence. With the increasing diversity of the workforce, the ability of many organizations to remain competitive will depend on how well they manage cultural diversity. The challenge for managers is to develop awareness, knowledge, and skills that will help them manage the new multicultural workforce. To be effective, managers need to understand how cultural differences affect the workplace. They should increase their self-awareness of their own cultural traits and develop specific skills for managing the culturally diverse workforce. In addition, managers will be challenged to help their organizations develop the policies, practices, and procedures that will enable diverse employees to work comfortably and cooperatively together. In meeting these challenges, managers will be able to contribute to the success of their organizations by building a cohesive and productive workforce form an increasingly diverse population. Octave Baker, Ph.D., is a senior partner with Communication Training Consultants in Sunnyvale, California, and a member of the engineering management faculty at Santa Clara University. He has extensive experience as a management consultant, trainer, and researcher. As a Peace Corps volunteer in Africa, Dr. Baker was trained in cross-cultural communication. He holds certificates in intercultural communication and training from the Stanford Institute for Intercultural Communication and from the Society for Intercultural Education, Training, and Research (SIETAR). Dr. Baker received his doctorate with honors in community and organizational psychology from the University of Michigan. In addition, Dr. Baker is a graduate of the Organization and Systems Development Program at the Gestalt Institute of Cleveland. He is listed in Community Leaders and Noteworthy Americans and is a member of the NTL Institute.